Nancy is a transformational relationship coach, and the author of The Freedom to Love. She is the CEO/Founder of Nancy Burroughs International. Nancy has a master’s degree in Marriage and Family Therapy and is a Certified Life Coach as well as being certified in both NLP (Neuro-linguistic Programming) and Timeline Therapy. Since 1997 she has been passionate about creating a space for people to heal their relationships, step into their personal power and live their purpose. As a professional speaker who has given over 450 speeches, Nancy shares her personal story which inspires others and gives them hope that there is a way to heal and restore love. Her profound concepts and tips will leave the audience wanting more as she expands their mind to new ways of thinking and behaving. 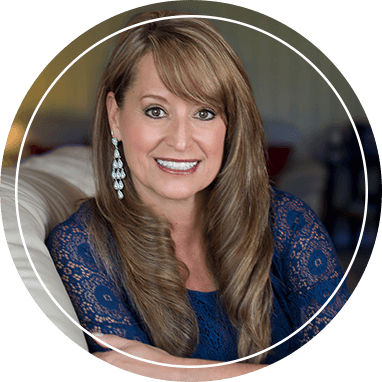 As a business owner, grossing millions in sales per year in the past and Gold Certified in Sales and Marketing, Nancy brings a strategic and systematic perspective to businesses about relationships and customer service. Coaching is the heart of her work. When there is an integration of knowledge and behavior, that’s where wisdom begins and transformation occurs. She works with individuals, couples, teens, high schools, businesses, and churches. Her clients will walk away with skills in personal development and relationship mastery. It gives me immense pleasure to share “Distinctions” with you. A distinction is a profound concept that you can integrate into your life and begin to ‘live your love on purpose’.